The Lord of the Rings TCG (the one by Decipher, not the LCG) has one of my favorite resource systems of all time. Besides having a ramping amount of Twilight (the main resource) every turn in a manner very reminiscent of how Hearthstone eventually did it, the majority of the Twilight on the table is dictated by your opponent’s play. Both players alternate between playing Free Peoples and Shadow, with the relationship to Twilight also changing: the Free Peoples player can play nearly whatever they want, and the cost of the card is added to the Twilight pool with no limit. The Shadow player then has this Twilight to pay the costs of their cards with, plus the ramping amount. Want to play a bunch of Elves and equipment and spells this turn? Knock yourself out, but oh, here’s a Balrog to fight. It can suffer from the same glut/choke issues that you describe Magic as having, but I think that’s just what happens with a shuffled deck. Thanks for the heads up! The systems listed here are far from the only ones possible in trading card games, and there are lots of interesting possibilities. My goal wasn’t to list all of them, but instead provide an overview of some of the more popular ones. I haven’t played Lord Of the rings tcg but it has been on my short list. I’ll definitely have to check it out! There was a power ranger card game where your life was your deck and you used your hand to pay for your plays, so you wanted to gain the card advantage and summoning advantage by drawing cards, but in doing so you were killing yourself. I just now realized how interesting of a resource and life system it was! I really like the tension that a system like that creates. I am also a huge power ranger fan haha so I would love to check it out. I used to collect power rangers trading cards, but they weren’t designed for a game, they were just collectible. I’m kind of surprised that I never heard about it before! Thanks for the heads up. I’m curious about your thoughts in the fixed resource system found in Star Wars Destiny. If you could stock pile mana in magic and be guaranteed two resources per turn would that system make the game more or less competitive? I haven’t played Star Wars destiny, so my comments are pretty much only going off of your description. If I’m understanding you correctly, you are basically saying that you get 2 resources each turn, and they carry over if you don’t use them. From a design perspective, I’m not really a fan of this system. It seems like the kind of thing that would lead to a lot of inactivity, as players do nothing for their turn as they wait for their resources to pile up. Personally I try to design to avoid this sort of downtime as much as possible, as people tend not to enjoy feeling like they can’t do anything. This system also doesn’t provide any momentum – you build up resources, use them, then you are back to square one. Momentum is important in making sure that the game actually draws to a conclusion because you can make bigger and bigger plays over time. Not knowing much about the game, I could be totally wrong but those are just my immediate thoughts from reading your description. 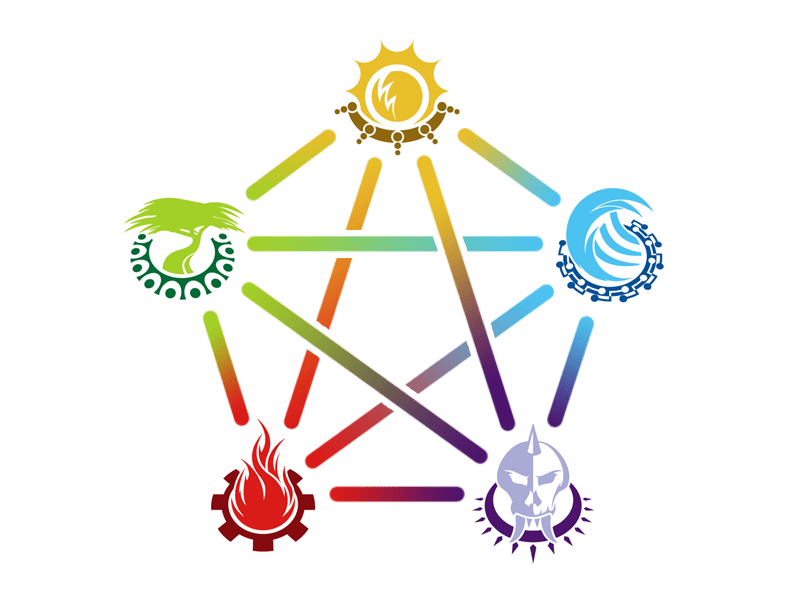 You know you mention the type of resource game which your life points and or cards in hand/deck are used as resources, and I don’t think you realized this but Yu-Gi-Oh has this type of resource system. A lot of cards in order to summon or play them require a cost of life points or card advantage. 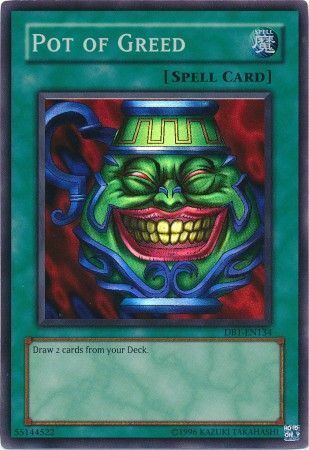 Solemn Strike for example requires you to pay 1500 life points in order for you to play it, and Pot of desires requires you to Banish 10 cards from the top of your deck in order for you to use it. So Yu-Gi-Oh has tried it fair share of mixed resource systems. A lot of different card games have dabbled in alternative costs such as life and decking out, but very few have used this as their primary resource system. In Yu-Gi-Oh these costs are used, but they are not standard and have to be explicitly listed on the card. Magic got a little closer to actually using life as a major resource system with the use of Phyrexian mana in the New Phyrexia expansion which allowed you to trade life for mana, but this was just a short lived experiment.